Shocker! Wealthy people do not like higher taxes » « Oh man, can Donald Trump get any more pathetic? 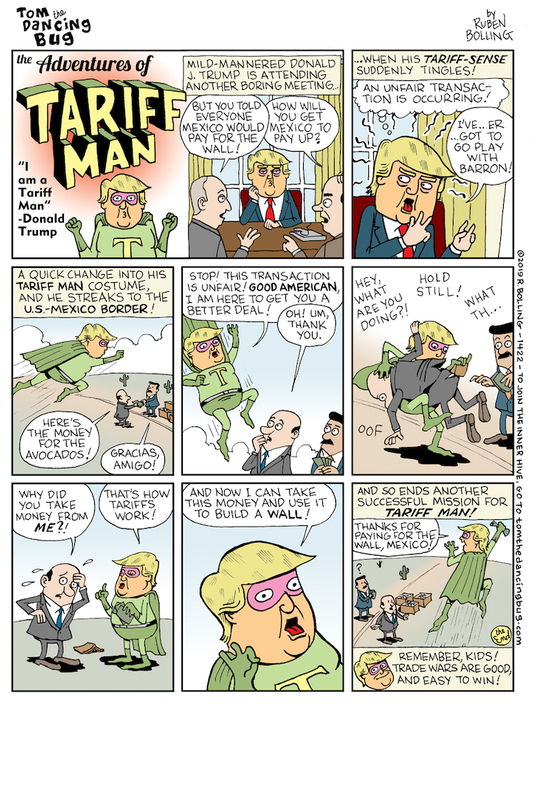 This cartoon by Ruben Bolling demonstrates that tariffs are ultimately paid by the consumer but that this is the only way that Donald Trump can justify his boast that he would make Mexico pay for the wall. If 45 could be bothered to read the comic (he won’t, it is too long for his minuscule attention span), he STILL WOULD REFUSE TO UNDERSTAND that US consumers would be forking up the cash.